The BAC Women In Blue defeated the New Kids on the Court 22 – 5, the BAC Women In Blue got 13 goals from Nikita Trott and 9 goals from Darika Simons, while Bea Welmer scored 4 goals for the New Kids on the Court and Joanna Heany added the other. Trott was named the BAC Women In Blue MVP, while Sarah Oswald-McCloud was named the New Kids on the Court MVP, the Best Attacker was Kayjuana Lema for the BAC Women In Blue, with Welmer named the New Kids on the Court Best Attacker. The games Best Defender for the BAC Women In Blue was Josie Richardson, while Quaysha Cox was named for the New Kids on the Court. 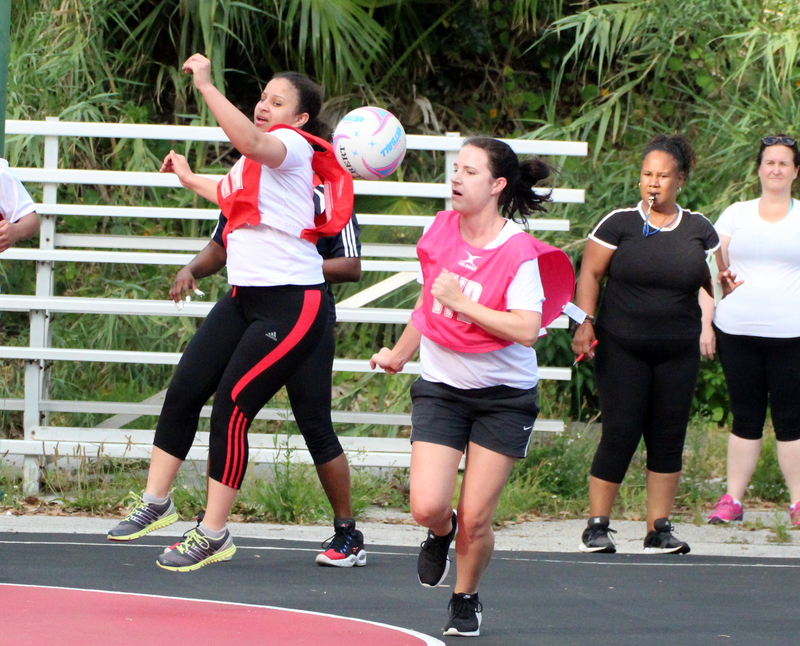 The Bermuda Under 19 Team defeated the BHB Angels 35 – 7, the Bermuda Under 19 Team got 13 goals from Nabiilah Nasir, Zariah Amory scored 11 goals, while Selah Tuzo added 8 and Kaamilah Nasir scored 3 times. Charlene Bogle-Gomez scored 4 goals for the BHB Angels, with Sherie Jones adding 3 goals. Amali Smith was named the Bermuda Under 19 team MVP, with Bogle-Gomez the BHB Angels MVP. Tuzo was the Bermuda Under 19 team Best Attacker, with Debre Evans named the Bermuda Under 19 team Best Defender and Lisa Winggood the BHB Angels Best Defender. Tyra-Lynn Simmons scored 13 goals to lead PHC to a 21 – 20 win over the Bermuda Under 16 Team, Vernicka Symonds added 8 goals, Amaiah Butterfield would score 12 goals for the Bermuda Under 16 team, with Kemiyah Butterfield adding 7 goals and Coriah Simmons added the other. Simmons was named the PHC MVP, with Jade Johnston the Bermuda Under 16 team MVP, Tahirah Hill was the PHC Best Attacker, with three players standing out for the Bermuda Under 16 team in Ice"ces Jackson, Butterfield and Coriah Simmons, with Sienna Woolridge was the Bermuda Under 16 team Best Defender.